in a crime against humanity? How many poor people in the world must die before the Greenpeace action is considered a crime against humanity"? The Lauireates' letter argues emotion and dogma by Greenpeace do not belong in science. However, the letter by the GM food industry in refuting Greenpeace's actions is hypocritical in that the letter itself is also based on emotion and dogma from the GM food industry perspective. Even so, it is unlikely the Laureates did not know their signature to the letter would support the GM food industry argument against Greenpeace, thereby raising the question as to whether the Laureates based on their scientific expertise knew the letter was false, and if so could only have signed the letter for personal reward. But is there a scientific argument that the Laureates knew or should have known that GM food may damage human health? If so, a jury would find the Laureates did indeed lie by signing the letter known to be false, an unpardonable act as the Nobel Laureates hold the highest esteem in science. In this regard, the Laureates knew or should have known the causal relation between GM foods and human health is that the NPs included in the formulations to enhance crop performance produce UV radiation. NPs stand for nanoparticles and UV for ultraviolet. For example, in Monsanto's Roundup, carbon nanotubes are used to enhance the plant's absorption of the weed-killer glyphosate that susequently enters the corn or soybean crop, the residue of which remains to produce UV radiaton in the human gut. Moreover, the Laureates knew or should have known experiments have shown for decades that NPs damage the DNA of all living cells. If the immune system can repair the DNA damage, there is no problem. But If not, the scrambled genes may lead to cancer and birth defects. Solar UV is known to damage DNA, but a UV source inside the body is not recognized by science. However, the Nobel Laurates should have known that because of QM the NPs that enter the body in GM foods provide a source of low level UV to damage the DNA. QM stands for quantum mechanics. By QM, the NPs cannot conserve body heat by an increase in temperature because the heat capacity of the atom vanishes at the nanoscale. Instead, QED conserves the heat by creating EM radiation at wavelengths λ = 2nd, where n and d are the refractive index and diameter of the NP. For example, silver NPs commonly used in GM foods having n = 1.32 and d < 95 nm emit EM radiation at wavelengths λ < 254 nm which is beyond the UV-C and is a lethal level for DNA damage in all living systems as the pyrimidine dimers are formed that block replication. See Ovarian cancer from talcum powder, and cancer from GM foods in the recent PRs above. The Nobel Laureates by their standing knew or should have known human health is dependent on the UV damage to DNA from NPs in GM food, and therefore the Laureates are complicit in the crime of the GM industry against humanity Indeed, Richard Roberts who organzed the Letter campaign and was a Laureate in the field of gene research could not have known the UV from NPs in GM food damage the DNA and therefore is knowingly guilty of the cover-up of the crime against humanity by the GM food indusry. Roberts should immediately retract his Letter and the Laureates retract their signatures to the Letter. Because of the prominence of the Laureates, the Greenpeace campaign against golden rice was quick to be denounced by the public. On 15 October, 2016, the SCMP published a letter from a reader, Simon Wang, supporting the Laureates position against Greenpeace. SCMP stands for South China Morning Post, a daily newspaper in Hong Kong. See Rebuttal. Needless to say, the SCMP refused publication of the Rebuttal. The 2016 Gravitational Wave Physics and Astronomy Workshop (GWPAW) will be hosted by MIT at the Cape Cod Resort and Conference Center in Hyannis, Massachusetts. impossible as the desired detection sensitivity is < 1x10-19 m, far less the the size of the proton. Resolution aside, noise is of particular concern as LIGO measurements of sensitivity over the audible frequency range from 20 - 2000 Hz comprise a continuum of narrow band low frequency spikes thought caused by multiples of 60 Hz measurement noise. diameters < 500 nm, the breathing mode resonances which would be excited in collisions with black hole debris are in the far IR at about 300 GHz, far higher than the audible range sensed by LIGO. LIGO sensitivity from light produced in cosmic dust NPs is produced by another mechanism. See recent 2016 PRs above on this web page. with the audible range from 20 - 2000 Hz. LIGO sensitivity is explained by light created as cosmic dust is heated during black hole coalescence and modulated infrequency f depending on its time dependent radial location R(t) in the inspiral of black hole debris, i.e., f = V/2pR(t), where V is a constant inspiral velocity. Hence, the slower rotating outer region of the inspiral generates the prominent 35 Hz low frequency end of LIGO sensitivity; whereas, the faster rotating dust in the inner region giving the sensitivity at 250 Hz, a continuum of frequencies produced between 20 and 2000 Hz. The continuum of LIGO low frequency narrow band noise spikes most likely do not depend on 60 Hz measurement noise, but rather are proportional to the local concentration of cosmic dust. LIGO may not be measuring Einstein's gravitational wave from the coalescence of black holes, but nevertheless LIGO has sensed the coalescence of a black hole - a historic discovery in itself. Dust alters bour observations of what we observe on Earth, but also our understanding of the Universe. Cosmic dust that permeates thje ISM is not considered in Hubbles law that states the velocity of a receding galaxy is proportional to its distance to the Earth. Hubbles law is based on Dopplers Effect whereby the wavelength of light from the galaxy is redshift if the galaxy is moving away from us. Recently, redshift measurements of SN explosions have been taken as proof the Universe is not only expanding, but the expansion is accelerating. SN stands for Supernovae. The Universe need not be expanding, let alone accelerating; The Higgs boson is not needed to explain dark matter that does not exist. 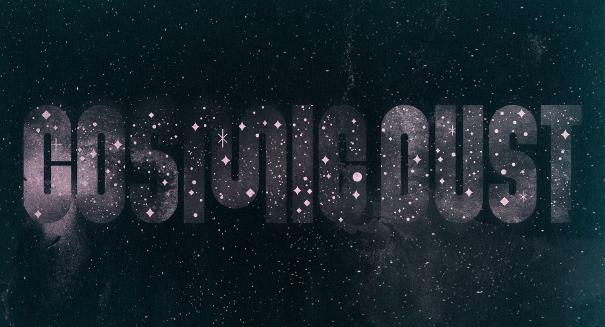 Cosmic Dust in an Expanding Universe? In summary, all problems in cosmology may be resolved by Newtonian mechanics including, but not limited to the following. Structural stiffening of NPs is currently not fully explained, say in the oxidation of cubical iron NPs accompanied by a large amount of strain proceeding many orders of magnitude faster in iron NPs than in micron sized iron particles. Strain induced in the iron NPs was measured at the atomic level with unprecedented resolution using transmission electron microscopy, the image of the reconstructed strain shown above - the oxide film blue and the iron in red and yellow. However, the rapid oxidation of iron NPs is not consistent with the slow diffusion of oxygen required for complete oxidation. Another mechanism is at play to explain the rapid oxidation of iron NPs. Since any chemical reaction in which electrons are removed from a reactant may be considered oxidation, the photoelectric effect by QED induced EM radiation is proposed as the mechanism for the prompt oxidation of the iron NPs. 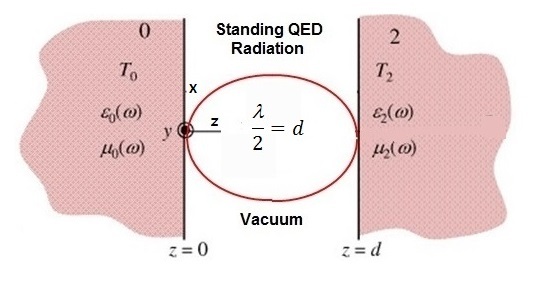 EM radiation induced by QED is a consequence of QM that precludes atoms in NPs from having the heat capacity to conserve the exothermic heat of oxide film formation by an increase in temperature. QM stands for quantum mechanics. Instead, the iron NPs conserve the heat of oxidation by QED inducing the creation of EM radiation standing between cubical surfaces having half-wavelength λ/2 = nd, where n and d are the respective NP refractive index and characteristic dimension, the latter taken as the distance between cubical surfaces. 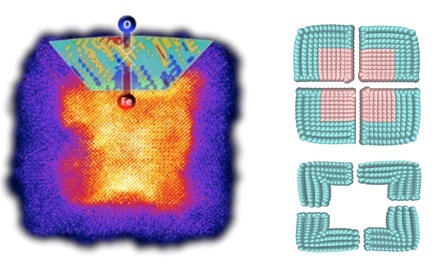 By the Planck law, the EM confinement to produce short wavelength EM confinement necessary for a vanishing heat capacity is a natural consequence of the high surface-to-volume ratios of nanostructures, i.e., almost all of the heat of oxidation in forming surface films in NPs is confined to their surface. Crystalline materials show an increase in vibration frequencies with pressure, the compression causing lattice stiffening. Pair distribution functions show about 1 % lattice shortening, and therefore cannot explain the high Einstein vibration frequency of NPs, e.g., the characteristic vibration frequency obtained for bulk ZnS is 7.12 THz while the characteristic vibration frequency for ZnS nanoparticles is 11.6 THz. Both random-displacement order was observed in which individual atoms are randomly displaced from sites on a single lattice, and strain-driven distortion, in which local structure is maintained, but at larger interatomic distances, so that atoms lie farther from the positions expected for an undistorted lattice. Hence, structural stiffening is proposed caused by the triaxial stress state induced by Coulomb repulsion between charged Zn atoms consistent with strain-driven distortion. 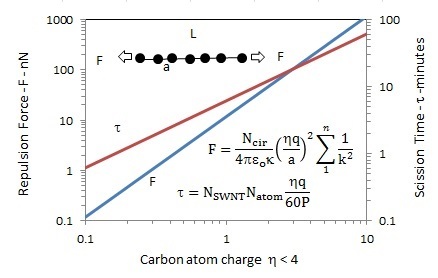 The triaxial stress state is significant in enhancing stiffening of nanocomposites as shown for charged NPs in polypropylene as illustrated below on this web page at "Nanocomposites and Quantum Mechanics", 2016. NP self-assembly to superlattices of 3D polycrystalline close-packed atomic arrangements often exhibit defects such as random packed domains, grain boundaries, and vacancies that lack continuous pathways for electron transfer. Recently, PDA is thought to form single crystal-like superlattices of gold NP arrays by high pressure-induced sintering at room temperature. PDA stands for pressure-directed assembly. PDA is depicted in the above figure. Initially, the NP assembly at room temperature is at point A. Upon increasing the pressure to 9 GPa, the d-spacing decreases to point B. Upon returning the pressure to ambient, the d-spacing is recovered which means A-B and B-A are reversible, i.e., compressive work is not dissipated by heat. 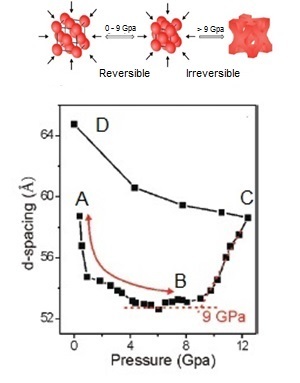 However, from B-C the pressure increases above 9 GPa, but the d-spacing somehow increases instead of decreasing as would be expected if sintering is caused by pressure alone. Upon returning to ambient from C-D, the d-spacing also somehow increases instead of returning to A. What this means is beyond B from B-C and C-A, the process is irreversible characterized by the generation of heat, but increased temperature not reported as the sintering is thought to occurs at room temperature. But there is a problem: When the pressure is > 9 GPa, sintering of NPs is thought to occur, but this is questionable as the d-spacing increases from B-C instead of decreasing. Another mechanism is at play to explain the increased d-spacing under increased pressure. In this regard, the QED mechanism is proposed: Heat generated in the irreversible process B-C cannot be conserved by increasing NP temperature because QM precludes the NP atoms under EM confinement from having the heat capacity necessary to change in temperature. QM stands for quantum mechanics and EM for electromagnetic. Instead, conservation proceeds by the QED induced creation of EM radiation that ionizes the NPs to produce a collection of charged gold atoms that expand upon Coulomb repulsion even under high pressure thereby explaining the d-spacing increase in process B-C and the continued expansion upon returning to ambient ambient pressure in process C-D. Heat induced ionization of NPs without increased temperature is natural consequences of QM, not possible in classical physics. Evanescent waves in Near-Field Heat Transfer? The MIT claim of enhanced near-field heat transfer across nanoscale gaps by evanescent waves implicitly assumes the long wavelength form of the Planck law that depends only on the temperature of the atom. EM confinement is not considered. See Evanescent Theory However, the above figure shows the Planck energy of the atom at ambient temperature to depend on the wavelength λ of EM confinement. If the atom is in the free surface of a body, the EM confinement is in the long wavelength λ > 100 microns region of the Planck law corresponding to classical physics where the atom does indeed have heat capacity. However, QM differs. At ambient temperature, the heat capacity of the atom by the Planck law depends on EM confinement for wavelengths λ < 100 microns. For gaps of dimension g, the EM confinement corresponds to a standing half-wave, i.e., λ / 2 = g ≈ 50 microns. Hence, heat transfer by evanescent waves consistent with QM is valid only for gaps g > 50 microns, e.g., evanescent waves on free surfaces having g >> 50 microns. However, for gaps g < 50 microns, the figure shows the QM heat capacity of the atom decreases by 2 orders of magnitude for EM confinement wavelengths λ < 6 microns or gaps g < 3 microns. QM requires atoms in the gap surfaces under EM confinement at nanoscale gaps g to have vanishing heat capacity that precludes the fluctuating temperatures in evanescent waves necessary to relate charges and currents by the FDT of radiative heat transfer. FDT stands for fluctuation dissipation theorem. What this means is evanescent waves in surfaces of nanoscale gaps do not exist in near-field heat transfer. Therefore, the MIT claim that evanescent waves enhance near-field heat transfer beyond the blackbody limit is highly unlikely. Instead, another QM mechanism tunnels EM energy across nanoscale gaps. In conventional optics, image quality depends on the diffraction limit. Recently, a superlens is proposed to restore image quality below the diffraction limit  the restoration not possible with conventional optics. Superlens experiments using a 35 nm silver film in contact with a 40 nm PMMA spacer under UV illumination at λ = 365 nm are depicted in the figure above. 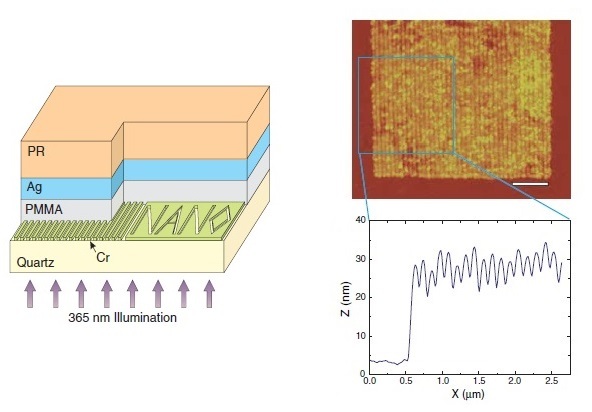 To test the quality of the superlens, periodic line structures of 60 nm wide slots on a 120 nm pitch are etched in the chromium substrate. The diffraction-limited wavelength P* = λ / n is controlled by the refractive index n of PMMA at the UV excitation wavelength, i.e., n =1.5 at λ = 365 nm giving P* = 243 nm. Below P* the structures on a 120 nm pitch cannot be resolved, but contrarily the line structures are observed to be very clearly observed. What this means is the superlens surpasses the diffraction limit of conventional optics. But what is the superlens mechanism? Currently, Transformative Optics is proposed as the superlens mechanism. Based in evanescent waves, Transformative Optics depends on the thickness of the silver film and the condition the permittivity of the silver film and that of the adjacent PMMA are equal and of opposite sign. A delicate balance of permittivities is essential to ensure the evanescent enhancement across the silver film, but it is difficult to verify the sensitivity of permittivity to the quality of enhanced image quality. Indeed, the sub-diffraction-limited imaging observed with the superlens may have nothing to do with evanescent enhancement, but rather on a simpler mechanism. In the alternative, QED Optics is proposed as the sub-diffraction-limited imaging mechanism in the super lens. Super quality images are a natural consequence of QED induced EM radiation in the silver film. For PMMA illuminated with UV at 365 nm, the diffraction-limited wavelength P* = 243 nm. Prior to reaching the photoresist, the EM radiation constituting the diffraction-limited image P* is absorbed in the silver film and induced by QED to create EM radiation at wavelength λ = 2 nd, where d and n are the silver film thickness and the refractive index at the wavelength P*. For d = 35 nm and n = 1.28, QED allows sub-diffraction-limited resolution at λ = 89 nm which is sufficient to resolve the 120 nm spacings. Modern physics in the form of QM was born in the beginning of the twentieth century from the collapse of classical physics relating to light as EM waves described by Maxwell’s equations, the consequence of which led to the ultraviolet catastrophe that required the atom to have infinite energy at high frequency or short wavelengths. QM stands for quantum mechanics. In 1900, Planck departed from the concept of light as a deterministic wave phenomenon described by Maxwell’s equations to a statistical description of light as particles or quanta of energy called photons. Planck’s derivation of blackbody radiation therefore returned light to Newton’s corpuscular theory previously rejected by Maxwell’s wave theory. Light by the Planck law was then consistent with the new particle statistics of thermodynamics developed by Boltzmann. Today, the emphasis on nanotechnology has renewed the controversy between classical physics and QM thought resolved by Planck a century ago. Indeed, classical physics is still used in heat transfer analysis of nanostructures by assigning macroscopic heat capacity to the atoms. But by the Planck law, the heat capacity of the atom vanishes under EM confinement in nanostructures, a natural consequence of their high surface-to-volume ratio that concentrates almost all of the absorbed energy in the nanostructure surface, thereby placing interior atoms under high EM confinement. Since absorbed EM energy cannot be conserved by the usual increase in temperature, conservation proceeds by QED inducing the creation of photons in the manner of standing waves from atoms under EM confinement between nanostructure surfaces. The Planck energy of the QED standing wave photons is sufficient to ionize the atoms that charge the nanostructure as the distance between nanostructure surfaces is < 100 nm. But the creation of the QED induced standing wave photons depletes the surface energy forming the EM confinement, and if ionization does not occur, the standing wave QED photons are free to escape to the surroundings. QED induced EM radiation is a consequence only possible in QM as charge is not created in classical physics. Prevenslik T., Quantum Mechanics: Validity of Classical Molecular Dynamics. 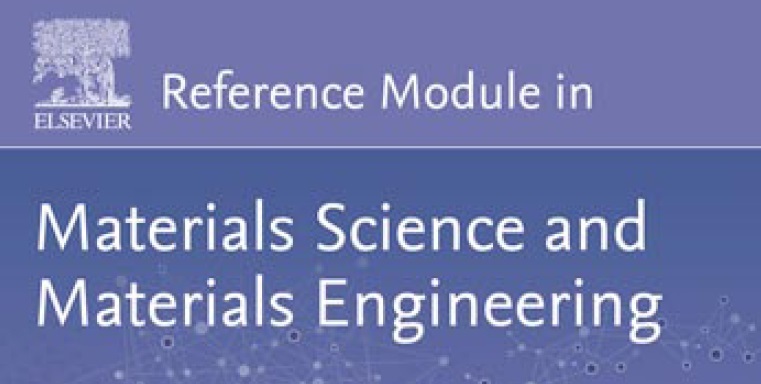 In: Saleem Hashmi (editor-in-chief), Reference Module in Materials Science and Materials Engineering. Oxford: Elsevier; 2016. pp. 1-6. ISBN: 978-0-12-803581-8 Copyright © 2016 Elsevier Inc.
QED: The Fourth Mode of Heat Transfer? Heat transfer proceeds by three modes: conduction, radiation, and convection. Conduction and radiation depend on the thermal properties of the material. Convection differs in that heat transfer depends on the properties of the fluid adjacent the material surface. However, heat transfer may also proceed by a fourth mode. Like convection altering the surface of the material, the fourth mode of heat transfer requires coating the surface of the material with a nanoscale layer of a material having a higher refractive index. Unlike conduction, radiation, and convection that find basis in classical physics, the fourth mode is based on QM with the heat transferred to the surroundings by EM radiation. QM stands for quantum mechanics and EM for electromagnetic. Classical physics that requires the atom to always have heat capacity does not predict any heat transfer enhancement for nanoscale coatings. But QM by requiring the heat capacity of the atom in nanoscale coatings to vanish precludes the conservation of EM energy by the usual increase in temperature. Instead, the heat into the coating under EM confinement is induced by QED to create non-thermal EM radiation that produces excitons (holon and electron pairs) that upon recombination ionize and charge the coating or emit the EM radiation to the surroundings. QED stands for quantum electrodynamics. QED heat transfer is illustrated the disinfection of Ebola and drinking water in the developing world using hand-held nan-coated aluminum bowls that by QED convert body heat to UVC radiation. No electricity is needed. In the UVC, QED is 100% efficient surpassing the 1-2 % efficiency of LEDs. See Abstract and Presentation A MP3 audio file of the presentation including comments from attendees is available at Audio, but requires manual synchronization with the PPT presentation. The Bremen presentation includes a PPT and audio MP3 file. Simply play both together simultaneously adjusting the PPT to be in sync with the audio from the MP3 file. The MP3 file includes questions and discussions followind the presentation. Today, nanotechnology modeling and simulation generally follows classical physics. However, classical physics cannot explain observations at the nanoscale. In this regard, ICNSM16 was a part of a more diverse Program of Recent Advances in Nanotechnology (RAN16) thereby providing a interesting overview from which new QED simulations in nanoscale modeling and simulations can be made. Only QM can explain nanoscale observations. QM stands for quantum mechanics. In this regard, QED heat transfer of diverse applications of nanotechnology are presented to convince you of the importance of QM in nanotechnology. See Paper and Presentation An audio MP3 file of the presentation allows the PPT presentation to be manually followed. In this regard, the application of QM and QED is presented to contrast with the classical physics embodied in traditional shock wave theory. QM stands for quantum mechanics and QED for quantum electrodynamics. QM requires the formation of shocks tin nanoscale thicknesses to occur without a temperature increase. However, a simplified form of QED as advanced by Feynman is presented to conserve the heat in the work of compressing gases in to a nanoscale shick thickness. See Abstract, PressRelease and Presentation In addition, a MP3 audio file of the presentation is provided. Just manually adjust the PPT to follow the audio. Sonication induced scission [1-3] of liquid-suspended SWNTs is thought to occur by viscous friction forces in the extremely high strain rates in the liquid ajacent the bubble wall. Like polymers, SWNTs always break near their center, the shortening being limited to a length of about 120 nm, below which no shortening occurs. Despite the long-standing history of sonication, the mechanism by which SWNTs undergo scission is still not understood. Regardless, the stretching of SWNTs by viscous drag forces to scission SWNTs by tensile fracture is considered unlikely as the viscosity of water most likely does not exist at extreme strain rates. SWNTs scission in sonication because collapsing bubbles produce UV radiation that charges the SWNTs to produce electrostatic repulsion between atoms, tensile fracture occurring at the center of the SWNTs coinciding with the position of maximum electrostatic force. At collapse, charged carbon atoms recombine with lost electrons. Length dependent scission rates are artifacts of viscous drag forces that scale with the second or fourth power of SWNT length apparently do not exist. QED induced scission does not predict diameter dependent SWNT lengths. Increased SWMT diameter gives higher forces but tensile stress is not increased as the cross-section area also increases. Nanocomposites with uniform dispersion of NPs offer significantly enhanced mechanical properties. However, fabricating composites with a uniform NP dispersion is almost impossible. But in the future, material sceintists are likely to determine the process by which unifrom NP dispersions are formed in composites. To assess the advantage of composites with uniform dispersion in enhancing the mechanical properties of polymers, a simple down-up process of formng macroscopic materials from a large number of preformed NPs is considered. The NPs have a metal core < 100 nm enclosed in a polymer shell of thickness less than a few 100 nm. The NPs are placed in a 3D mold of the desired macroscopic shape and thermally processed thereby melting the NP shells without mixing to form a composite that upon solidification form a nearly uniform NP spacing in polymer matrix, the mechanical properties of which are enhanced as a consequence of QM. QM stands for quantum mechanics. In classical physics, the NP atoms have heat capacity allowing the atoms to increase in temperature during thermal processing. QM differs. By the Planck law, QM precludes the atoms in NPs from having the heat capacity to increase in temperature. Instead, conservation of heat during processing proceeds by QED inducing the NPs to create non-thermal EM radiation that charges the NPs by the photoelectric effect. QED stands for quantum electrodynamcis and EM for electromagnetic. 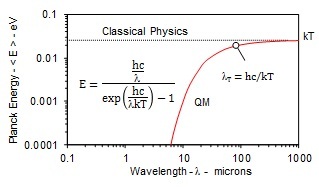 The QED induced EM radiation wavelength is, λ = 2 nd, where n and d are the refractive index and diameter of the NP. Coulomb repulsion between the charged NPs produces a triaxial stress state that increases the stiffness of the composite. An MP3audio file of the presentation is provided, from which the PPT may be manually adjusted. What is the causal link between NPs in GM foods and human health? At the Biotech Conference, NPs in GM food are proposed as the causal link to cancer. 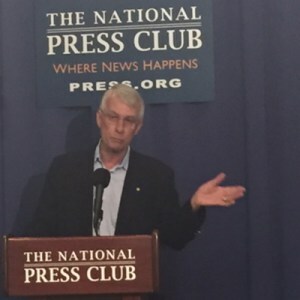 The causal link to cancer from NPs is a consequence of modern agriculture in that it is not possible to only spray weeds without spraying crops, such as soy and corn. The weed chemical gyphosate is therefore GM to kill only weeds while at the same time thought to enhance the growth of crops. For decades, NPs and specifically CNTs are used to allow glyphosate to enhance crop production. CNTs stand for carbon nanotubes. Upon human consumption of GM crops, most glyphosate and included NPs are rapidly excreted, but residues remain in the human gut. In this regard, the causal link between GM foods and human health is proposed to be the DNA damage by UV radiation from NPs in glyphosate residues. However, only UV radiation from the sun on exposed human skin is known to cause cancer, but the gut is hidden from solar UV. Damage to human DNA by UV radiation from NPs has not been recognized by the nanotechnology community because heat transfer is based on classical physics that assumes the atoms in NPs have heat capacity thereby allowing heat from the gut to be conserved by a neglible increase in temperature, a consequence with insignificant DNA damage. QM differs by allowing EM radiation to be created in NPs. QM stands for quantum mechanics and EM for electromagnetic. Unlike classical physics, QM requires the atoms in NPs to have vanishing heat capacity and therefore NPs inthe gut cannot conserve heat by the usual increase in temperature. Instead, NPs conserve heat by emitting EM radiation in the UV and beyind that causes the DNA damage, and if not repaired can lead to cancer. A MP3 audio file of the PPT presentation including the comments is played in the background of the PPT Presentation. Open the PPT and click to follow the audio. The critical comments with a German accent may be clearer if the speaker volume is maximized with ear phones. Regardless, the critic like the Nobel Laureates does not understand that UV radiation emitted upon the heating of NPs by body heat in the gut damges the DNA is the consequence of the Planck law formulated over a century ago. Confirmation of Einstein's theory of general relativity based on LIGO measurements  of gravitational waves from black hole coalescence requires resolution of pico-meter displacements in Earth based interferometers having mirrors separated by 4 km long arms. LIGO resolution verges on the impossible as the desired detection sensitivity is < 1x10-19 m, far less the size of the proton. Resolution aside, noise is of particular concern as LIGO measurements of sensitivity over the frequency range from 35 - 250 Hz comprise a continuum of narrow band low-frequency spikes of unknown origin. Difficulties in resolution and noise suggest LIGO may not be measuring gravitational waves, but rather light from another mechanism associated with coallescing blackholes. In this regard, the LIGO sensitivity measured from 35-250 Hz is proposed to be sound carried by the collective light produced from a very large number of cosmic dust NPs heated in each of a pair of black holes during coalescence, the reflected light modulated by the dispersion of rotational speeds in the inspiral. NPs stand for nanoparticles, typified by < 500 nm diameter amorphous silicate particulate in the black hole debrIs. The QED induced light produced in each of the NPs from the heat of the collisonal merger has wavelength λ = 2 n d, where n is the refractive index and diameter of the respective NP. QED stands for quantum electrodynamics. Owing to the dispersion of NP sizes, the collective light is produced over a wide optical frequency band from the UV through the VIS to the IR. It is this collective light that is modulated in the inspiral and appears in the LIGO sensitivty measured on Earth in the audible frequency range (35 - 250 Hz). The optical light created by QED in the NPs, however, differs from light-matter interaction in the complex QED theory advanced by Feynman and others. "By the Planck law, NPs cannot conserve heat by an increase in temperature because QM requires the heat capacity of atoms in NPs to vanish. QM stands for quantum mechanics. Instead, the heat is conserved by QED creatiing standing EM waves within the NP having half-wavelength λ / 2 = n d. For heat capacity to vanish, however, the NP must be placed under EM confinement at nanoscale wavelengths. But this is a natural consequence of NPs having high surface-to-volume ratios that requires absorbed heat to be confined to their surfaces, the surface heat providing the momentary EM confinement necessary to create standing EM radiation between opposite NP surfaces. Once the surface heat is expended in forming the standing EM radiation, the momentary confinement by the NP surfaces vanishes and the standing EM radiation promptly escapes." However,the cumulative NP light from each of coalescing black holes in the inspiral appears on Earth is modulated in frequency f depending on its time dependent radial location R(t) in the inspiral, f = V/2πR(t), where V is a constant spiral velocity. The slower rotating outer region of NPs in the inspiral generates the prominent 35 Hz low frequency end of LIGO sensitivity; whereas, the faster rotating NPs in inner region giving the sensitivity at 250 Hz. A MP3 audio file of the PPT presentation is played in the background of the PPT Presentation. Open the PPT and click to follow the audio. 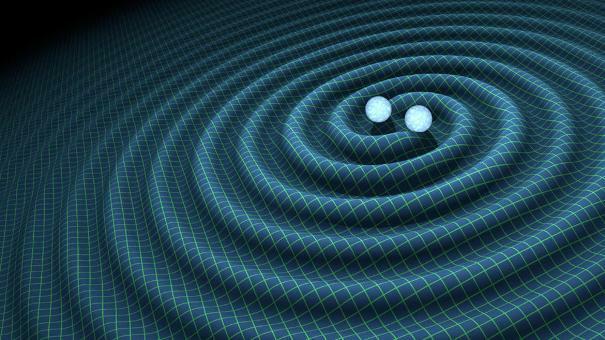 What this means is LIGO may not be measuring Einstein's gravitational wave produced in the coalescence of black holes, but this may not be important because LIGO has confirmed the discovery of coalescing black holes - a historic astronomical event in itself !!! B. P. Abbot, et al., "Observation of Gravitational Waves from a Binary Black Hole Merger," PRL 116, 061102, 2016. Since Hawking, it is generally accepted that anything falling into black holes cannot escape, including light. Recently, however, astronomers have reported  flickers of visible light from V404 Cygni, a black hole of about nine solar masses and a companion star similar to our sun. Recently, V404 Cygni became one of the brightest X-ray sources in the Universe. Although astronomers usually study black holes with X-ray or gamma-ray telescopes, the visible light fluctuations allow detection by the amateur astronomer with a 20-cm telescope. However, V404 Cygni emits a broad ranged SED including visible frequencies as measured for V404 Cygni, see  Extended Data, Fig. 6. SED stands for spectral energy distribution. To produce a broad ranged SED, the frictional heating of macroscopic debris requires high temperatures to form NPs and even higher temperatures to exceed atom binding energies and separate constituent atoms. NPs stand for nanoparticles. Unlike macroscopic debris, NPs and constituent atoms follow QM by the Planck law that requires the heat capacity of the atom to vanish thereby precluding the conservation of frictional heat by an increase in temperature. QM stands for quantum mechanics. Vanishing heat capacity of the atom by QM is not new, but the consequence of the Planck law formulated over a century ago. For heat capacity to vanish, however, the NP must be placed under high EM confinement. In NPs, the EM confinement is natural consequence of their high surface-to-volume ratios that require absorbed heat to be momentarily confined to their surface. Hence, NP atoms are under EM confinement over nanoscale wavelengths that by the Planck law requires their heat capacity to vanish. Since the NP atom temperatures cannot increase by QM, conservation proceeds by QED converting the surface heat into EM waves standing between diametrically opposite NP surfaces. QED stands for quantum electrodynamics. See Press Release. In 1970, Rubin found that Doppler velocities based on redshift measurements were higher than expected thereby requiring additional mass to hold the galaxies together marking the beginning of the modern search for dark matter. Currently, dark-matter theory rests on WIMPs - weakly interacting massive particles. Created in the Big Bang, WIMPs are thought to still be present today. Indeed, the most powerful WIMP detector is the LUX comprising a vessel containing a third of a ton of liquid xenon. LUX stands for Large Underground Xenon collaboration. However ,LUX researchers reported WIMPs could not be found suggesting dark matter may not exist..
To resolve dark matter, the following is proposed. What is the thought to be dark matter is the consequence of the over exaggerated galaxy velocities computed with the Doppler effect based on redshifts not corrected for in cosmic dust. Measured redshift is (Z' + Z''), where Z' and Z'' are the redshifts of recessional galaxy velocity and cosmic dust. Hence, the galaxy velocity V at (Z' + Z'') > V at Z' giving the false conclusion that dark matter is necessary to hold the galaxy in orbit. If galaxy velocities are corrected for redshift in cosmic dust, dark matter need not exist. Human health is placed at risk by the scrambling of genes in DNA by UV radiation from NPs heated in the gut upon the ingestion of GM food. NPs stand for nanoparticles and GM for genetically modified. By classical physics, NPs conserve body heat by changing temperature. But QM governs the nanoscale. QM stands for quantum mechanics. QM by the Planck law requires the NP atoms have vanishing heat capacity thereby precluding any change in temperature. Instead, NPs conserve heat by the emission of EM radiation. For heat capacity to vanish, the NP atoms must be placed under nanoscale EM confinement. But NPs having high surface-to-volume ratios confine absorbed body heat almost entirely to their surfaces, the surface heat thereby providing the EM confinement of NP atoms over nanoscale wavelengths. QED then conserves the surface heat by creating EM radiation standing between diametrically opposite NP surfaces, but differs from the complex relativistic QED by Feynman and others. QED conserves heat supplied to a NP absent heat capacity by creating EM radiation having half-wavelength λ / 2 = nd, where n and d are the refractive index and diameter of the NP. For example, QED induces silver NPs having diameter d = 90 nm and n = 1.35 to emit UVC radiation near λ = 254 nm - a lethal level for DNA damage and if the scrambled genes are not repaired by the immune system may lead to cancer, birth defects, etc. QED does not rely on UV produced by speculative multi - NIR photon upconversion NPs to produce UVC radiation, see Paper. Rather, QED produces the UVC directly. Figure 1 illustrates the UV emission from a layer of 50 nm silver NPs measured by a UVC light meter. NPs as the cause of DNA damage was presented at Nazarat Taleem College, Rabwah, Pakistan in a seminar on September 26, 2016. Visual PPT and audio MP3 files are provided. Open both files and adjust the PPT to follow the MP3.